Paper Crafts by Candace: Jaded Blossom's Monthly Challenge: Go Wild! Happy Sunday! Today is the first day of the monthly challenge over at Jaded Blossom!! This month's challenge is GO WILD! Any wild animal project! 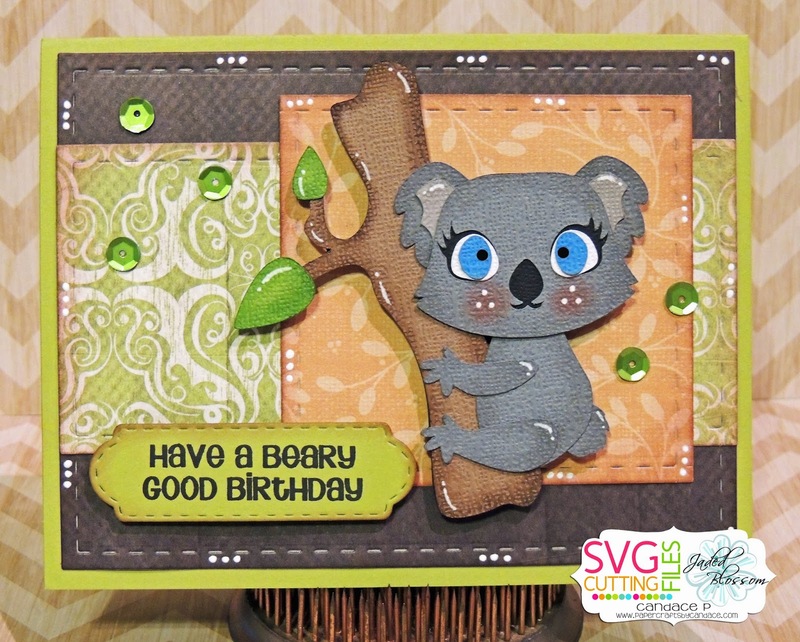 I have this adorable new Koala bear from SVG Cutting Files that I used on my card today. I also used Jaded Blossom's Card Mat Dies, Mini Tag Dies 2 and Forest Friends. Thanks so much for checking out my challenge project today! Make sure to head over to Jaded Blossom to see what the rest of the team created! So sweet. I love all the colors!! What a cute koala bear! I love this card!